This pantry needed some work. After downsizing from a home with a large closet pantry, we’ve moved into something smaller and our current pantry/cabinet reflects the new reality! My wife has complained for a long time about not being able to get to the back of each shelf, with the lower shelves being particularly difficult. Seriously, who designs these things! So I decided to build 4 shallow drawers. 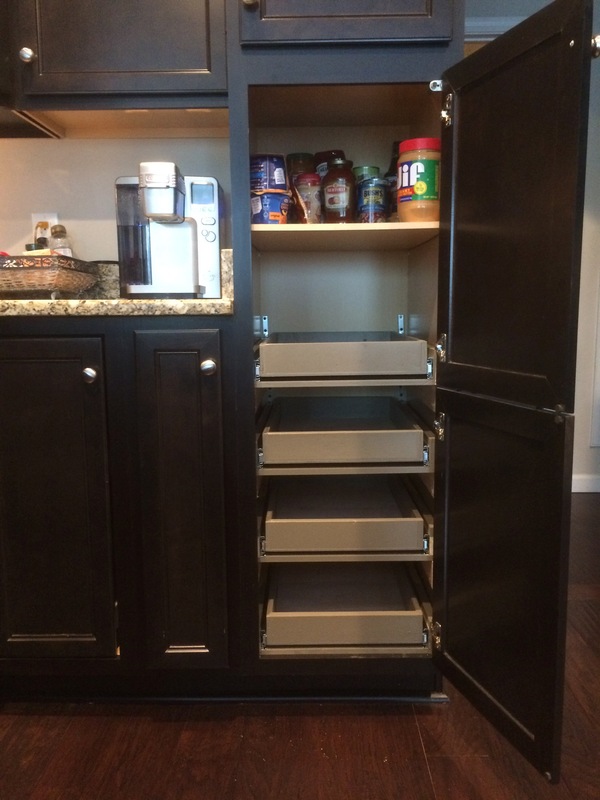 By using full-extension drawer slides, we can now access the full capacity of each shelf. Cost for this project was around $50 per drawer, with the slides taking most of the cost. Cheaper slides would certainly reduce the expense, but you get what you pay for!